Lesley has been working within the areas of Mental Health and Crime since 2010, qualifying as a Solicitor in 2012. Lesley has developed a strong own client following within the Essex area and is known for her compassionate and professional approach. Lesley is Head of the Mental Health Department at THB Solicitors, she is also an Accredited Member of the Law Society Mental Health Panel. She regularly represents patients who have been detained under civil and forensic sections of the Mental Health Act 1983 at their Tribunal Hearings and Hospital Managers’ Hearings. She is also regularly appointed by the Mental Health Tribunal to represent the best interests of those patients who lack capacity to make their own decisions regarding their detention in hospital. Lesley has also represented the interests of “Nearest Relatives” of detained people before the Mental Health Tribunal and in displacement proceedings in the County Court. Lesley achieved her Duty Solicitor status and Higher Rights of Audience in 2013. Lesley represents clients at the Police station, Magistrates Court, Youth Court and Crown Court for all types of criminal offences, she has been instructed to represent clients charged with the most serious offences such as Murder, Manslaughter and Terrorism. 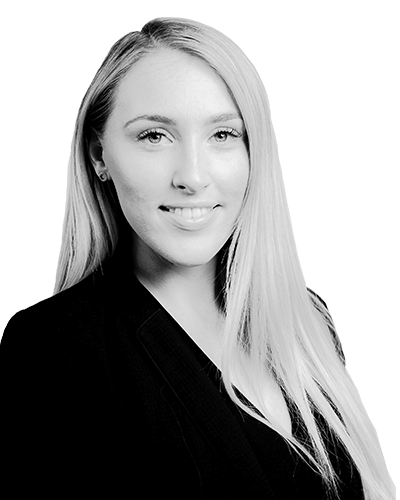 Due to her specialist knowledge of the law in both Mental Health and Crime she is often the Solicitor of choice for patients detained under Forensic Sections of the Mental Health Act and also for those charged with criminal offences who are suffering from mental health issues. Lesley is extremely passionate about her work and strives to achieve the best results for her clients. Lesley has recently been appointed onto the prestigious Law Society Mental Health and Disability Committee and is due to commence her 3 year seat from September 2018 alongside her role at THB. Lesley will be assisting the committee by reviewing and promoting improvements in law, practice and procedure, ensuring that individuals with disabilities and the mentally vulnerable are given a voice and adequately protected by the legal system. In 2009 Lesley completed death row training with Amicus and Reprieve Charities. In her spare time she assists with preparing the defence of impoverished people facing execution in the USA. Lesley also enjoys travelling and spending time with her two dogs. R v S & Other  – Successful defence to murder. The allegation against the defendant concerned the murder of an elderly gentleman who during the course of a burglary at his address was stamped upon on multiple occasions, manually strangled and asphyxiated. The case against the defendant relied heavily on “confessions” that he was said to have made to inmates whilst he was on remand in prison. Following a number of defence submissions regarding the reliability of the evidence and a full trial by jury the defendant was found not guilty of murder. R v W  – Successful defence representations made and case discontinued. The defendant was charged with Threats to Kill and Assault by Beating. The defendant had been remanded into custody following charge. The defence requested a full Mental Health Act assessment which concluded that the defendant was not fit to enter a plea/ stand trial. He was detained under the Mental Health Act and taken to hospital. The defence then commissioned an independent psychiatric report and invited the CPS to discontinue the case. The representations were successful. R v M  – Successful defence to attempted murder. The defendant was young man who suffered with paranoid schizophrenia. During a relapse of his illness he had attacked the victim with a knife and a hammer due to hallucinations he was experiencing. The defence commissioned a number of psychiatric reports and requested that the defendant be transferred from prison to hospital whilst he was on remand. The defendant was found not guilty of attempted murder by reason of insanity and received a s.37/41 hospital order. "Lesley is an outstanding solicitor, her calming nature is fantastic when dealing with lay clients. She takes a methodical and meticulous approach to casework and all cases dealt with are thoroughly prepared. Lesley takes great care and pride in her cases and because of this she has gained a solid reputation as a solicitor. I have dealt with Lesley on cases involving fraud, murder and other serious crime." "I have always found Lesley to be an honest and trust worthy individual. She is very professional and I had 100% confidence in her when I have dealt with her in the past. I would have no hesitation in recommending her in the future."